This 1957 Chevy Nomad has been in Kevin Spangler's family since 1958. 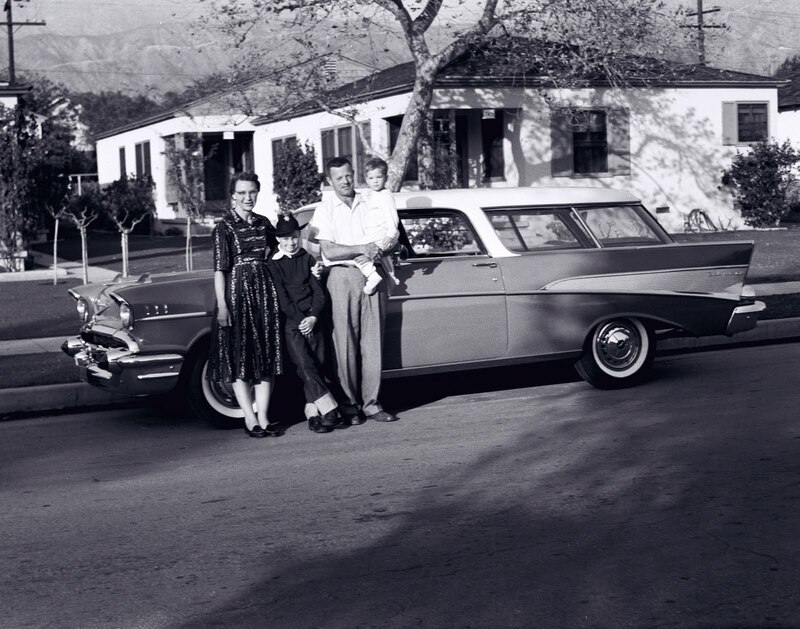 This Nomad was the family hauler growing up in Southern California. The above photo is actually of Kevin (being held) and his family. 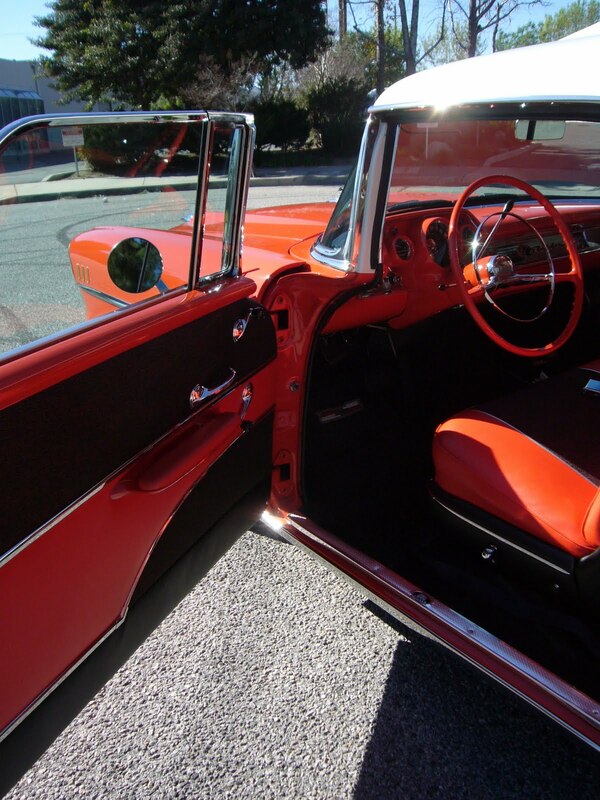 Between 1970 and 2008 the Nomad spent a fair amount of time in and out of storage. Finally, after all those years, Kevin decide to start the restoration of the Chevy. Kevin took the car over to D&P Classic Chevy in Huntington Beach, Ca for a frame-off restoration. The project was finally finished in late 2010 and we are gratefully that Kevin took the day off to drive it to our studio. Additional photos of the Nomad can be viewed on the California Car Cover Flickr page. We asked Kevin what this car meant to him, this is what he said. "When I was a little kid this car meant “mom and dad, family, and security” to me. Even though I was only 2 years old at the time, I still remember going car shopping with my dad when he was looking for a Nomad. I also remember the day we brought the Nomad home from Selman Chevrolet. I remember many of the places it has taken me over the years since 1958, all of the extended family and friends it has hauled, and adventures it has taken me on. I remember guys always trying to buy the car from my dad back in the ‘60s when it was our primary vehicle. When it became my first car, guys were still trying to buy it from me. Now that it’s restored, I really get “the looks” when I drive it. 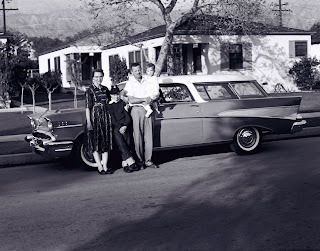 Besides being a Nomad, the family connection to this car going back to September 1958 makes this car doubly unique. 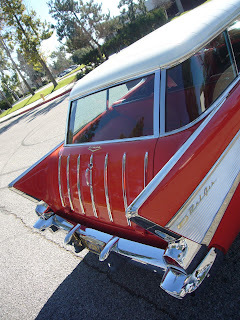 My 12 year old son can hardly wait to get his hands on it to continue another generation of family history with our 57 Nomad." 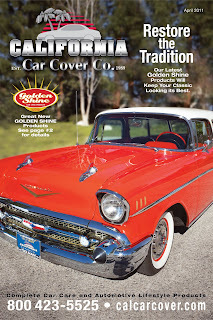 Thank you to Kevin Spangler for being a part of the April 2011 California Car Cover catalog cover shoot. 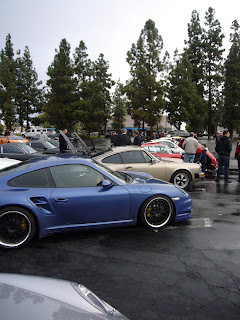 Some wet weather has been plaguing West Coast car shows of late and the most recent Super Car Sunday met the same fate. Everyone was looking forward to having a large collection of Ferrari automobiles at the show, but morning drizzle kept a lot of the cars and people away. 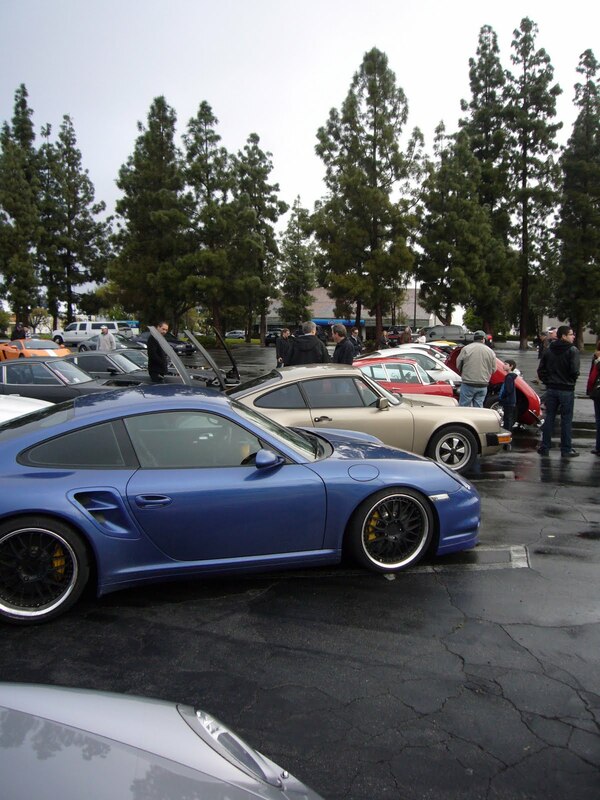 Even with the poor weather, a number of enthusiasts drove out their automobiles for a cup of coffee and some socializing. 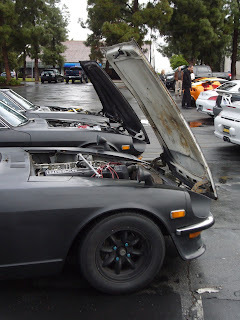 There was still a great variety of classics and exotics that SCS has become known for hosting. 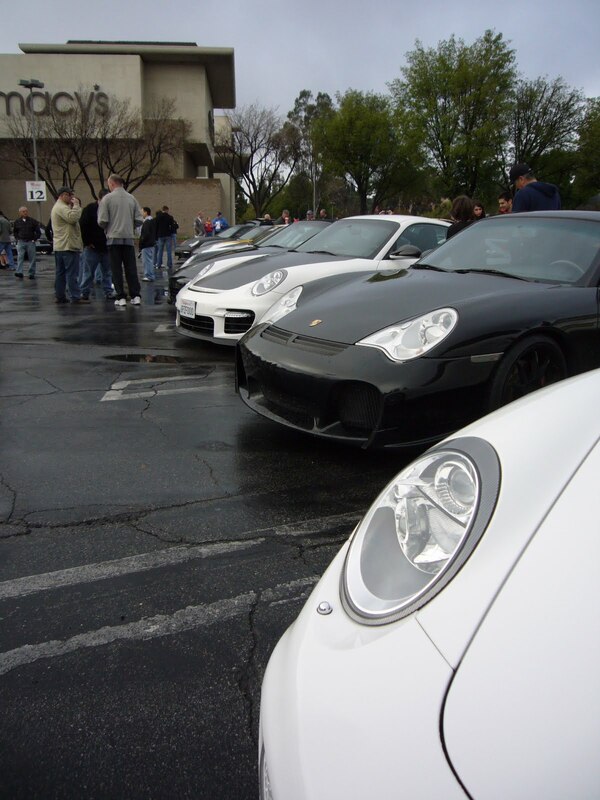 The next Super Car Sunday is set for Sunday, April 24th. 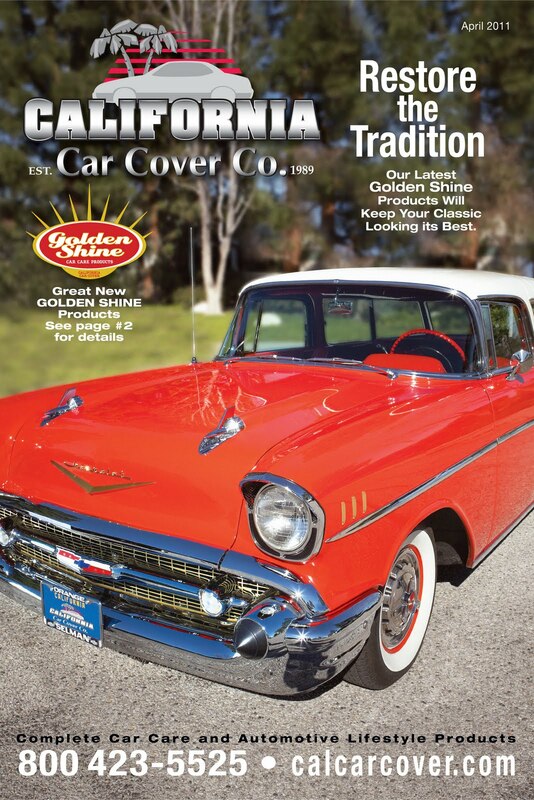 Stop by and see the guys from California Car Cover there.